Cameron has a viable and potentially winning game plan once again. Labour must have a better one. 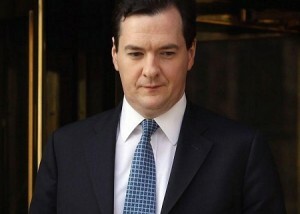 George Osborne is for the chop but his economic policy will remain in place. < That is the lesson to be inferred from the sudden spate of newspaper articles announcing his imminent departure. If it were simply a matter of the odd piece in the Observer or the Guardian, one could dismiss it as wishful thinking, but when the Mail on Sunday goes for the jugular, something serious is happening. Despite some cosmetic adjustments, there is no U-turn on economic policy which, if anything, becomes harsher. Cameron’s move is designed to pave the way for a general election and to placate an increasingly powerful Tory right which wants to kill off the Coalition because the Lib-Dems are threatening to block the reduction in Commons’ seats. Cameron also figures that if the Coalition does fall, non-posh-boy Hague is a better bet than young Gideon—both to help fight off a leadership contest and to win a general election. This change in tactics is crucially important as it becomes abundantly clear that Osborne’s original promise—to deliver reasonable economic growth in time for a 2015 general election— will not be met. Besides, at a snap election in 2013, the Tories will still be able to argue that Britain is still a ‘safe haven’, that austerity remains necessary for recovery—but that a coalition government, particularly one given to squabbling endlessly about Lords reform, has been tried and found wanting. Throw in some extra goodies such as the promise to hold an immediate referendum on Europe and Cameron might find such a scenario irresistible. If this is indeed a likely outcome, Labour would do well to shift up a gear or two. For one thing, it cannot continue to promise the same cuts as the Tories, but with a slight change in timetable. It needs to start shouting from the rooftops that cuts don’t work, and be prepared to put forward an aggressive policy of domestic economic expansion designed to create jobs. Labour needs to say loud and clear that it is prepared to reverse many Tory cuts—-particularly those that affect the elderly, cuts that are destroying the NHS and damaging Britain’s educational system. Europe provides further evidence of the absurdity of self-inflicted austerity. With house prices rising again, Labour needs to promise affordable housing. In a country which has just experienced the worse summer flooding on record, Labour needs to sign up for a new deal to combat climate change. Whether Ed Miliband is on a roll at PMQs may be of interest to the chattering classes, but the ordinary voter doesn’t give a damn for Parliament, much less for Parliamentary reform. The man or woman in the street wants the opposition to put across an opposition message, and the message must be not just that Labour feels your pain but that it has a programme for immediate improvement. The fact that the Tories have been sliding downhill ever since the April budget fiasco is not yet a reason to celebrate. Hague is a better bet to win a general election? Despite the fact that to the public’s mind, he’s already an election loser? The author seems to have forgotten that we can’t have a “snap election” due to the 5 year parliament legisaltion passed by the coalition. Osborne is one of two climate sceptics in the cabinet. The eco-fascist want him O.U.T. The rip off green energy companies, carbon traders and the big landowners have too much to loose. They want to keep the subsidies to wind farms and the proposed carbon floor price – which will push 12 million households into fuel poverty. At least Osborne realises that the Climate Change Act and energy policies a) will not work, b) are too complex c) are not a vote winner and d) are a great folly – the folly supported by Labour.